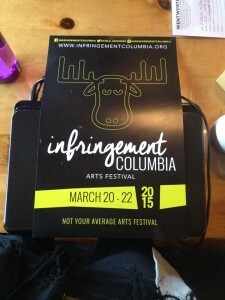 OTL Blog » Blog Archive » 12th Infringement Season Kicks Off with New Festival in South Carolina! 12th Infringement Season Kicks Off with New Festival in South Carolina! Founded in Montreal in 2004 to protest the commercialization and trademarking of the once-grassroots Fringe Festival, the infringement festival attempts to reclaim culture by empowering artists and communities to work independent of corporate manipulation. This year the infringement movement is especially thrilled to welcome a new festival, the Columbia Infringement Festival, into the fold. Emily Olyarchuk, based at the University of South Carolina, originally founded the festival as a senior thesis project, however it has since grown into a meaningful community event. 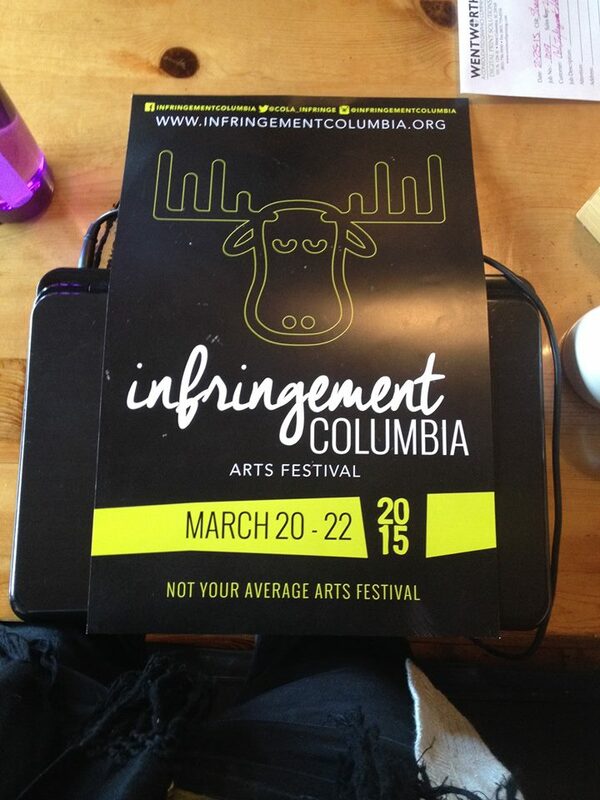 Running March 20 – 22, the Columbia Infringement Festival kicks off the 2015 infringement season! Next up is the Montreal Infringement Festival, which runs from June 17 – 21 this year and is looking to be as exciting and political as ever, especially with new artists on the organizing team from the World Truth Speakers Posse. PM Mundafar writes about it in his blog. The Montreal festival will open with a multi-lingual show organized by Louis Royer to kick off the event, followed by everything from burlesque and edgy musical performances to experimental arts and Open Mic. The organization of the festival has also been streamlined to make it easier and more enjoyable to prepare the festival. Apply to perform here (the deadline is May 30). 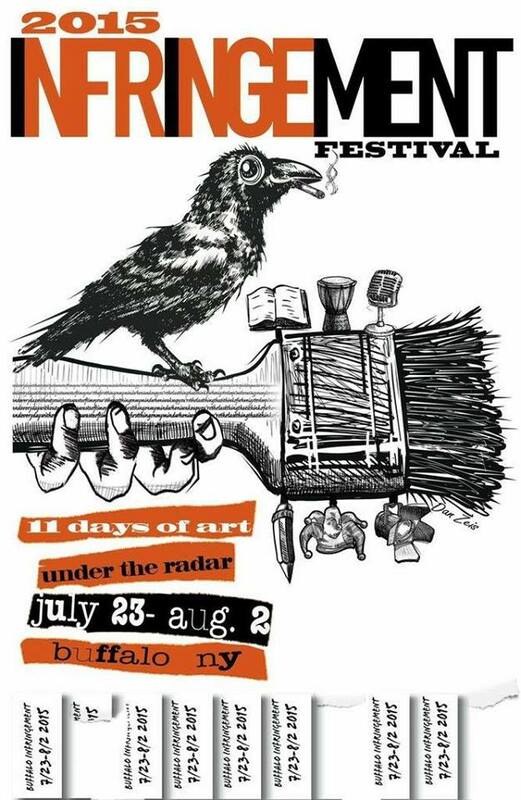 Last, but certainly not least, is the Buffalo Infringement Festival, the grand-daddy of all infringement festivals in terms of its size and scope. Celebrating 10 days of “Arts Under the Radar”, the festival runs from July 23 – August, 2015 and typically includes over a thousand performances by hundreds of artists and activists of all stripes. 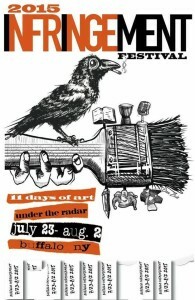 The Buffalo Infringement Festival is one of North America’s largest arts festivals, and is certainly the largest independent one, possibly on Earth! Apply to perform here. Finally, while there is no World Fringe Congress this year to challenge the ongoing commercialization of the Fringe, plans are afoot next year to attend, when the 3rd edition is held at a Fringe Festival outside Edinburgh, Scotland. Last summer Donovan King attended the Congress in Edinburgh, where he crossed paths with Fringe trademark holders from the Canadian Association of Fringe Festivals, sparking off a heated debate. King also presented his Critical Report from the World Fringe Congress at the PBH Free Fringe (Edinburgh, Scotland), as well as at the Harlequin Fayre (Norwich, England) and Ballinamore Free Fringe (Ballinamore, Ireland). These festivals are all similar to the infringement in that they challenge corporate manipulation in the arts and they put the rights of the artists first. This entry was posted on Wednesday, March 18th, 2015 at 10:02 am	and is filed under Activism, Community issues, General, Performance, Uncategorized. You can follow any responses to this entry through the RSS 2.0 feed. You can leave a response, or trackback from your own site.